Details: Should you return to Po Town after defeating Team Skull there, you will find Office Worker Royce. 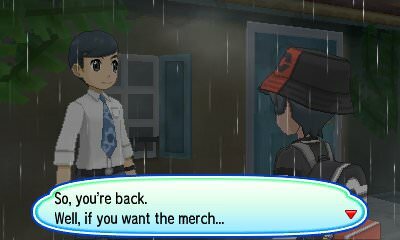 He will ask if you would like some merchandise; however, you will need to first defeat him in battle to earn his trust. If you defeat him, you will be able to purchase a Big Nugget from him daily for only $5,000. You can then sell these Nuggets for $20,000 at any PokeMart, netting you a profit of $15,000 every single day.